Selling is easier when you know who’s interested in buying. 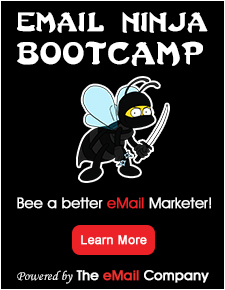 dvMail uses email as a digital prospecting tool. It’s a very cost-effective way to learn if a consumer is interested in buying what you’re selling. Email recipients who (1) read the email subject line, (2) open the email, (3) read the message and watch the video, then (4) click to the client website or landing page for more information are behaviorally identifying themselves as prospects. They wouldn’t take the time to go through all those steps unless they had some level of interest in you. Now that they know who’s interested, we provide our clients with conversion tools. Ongoing engagement is imperative in marketer categories where consumer purchase decisions often require research, comparison shopping and are typically made over a period of time: insurance, memberships, healthcare & treatment, career choices, education, major purchases like cars, electronics, technology, home improvement and home décor, financial investments, travel and vacations. Ongoing engagement through all points of the consumer research and shopping process dramatically increases the chances of converting a shopper into a buyer.